The ITF announced on Wednesday that Maria Sharapova has been suspended two years after testing positive for the meldonium. Ever since Sharapova admitted to a failed test back in March, she has maintained that she had been unaware of meldonium’s addition to WADA’s banned substance list. But buried in the ITF’s 33-page ruling on her case is a new and truly perplexing explanation for why she failed the drug test: the divorce of her agent. In the hearing (according to the report) Sharapova’s agent Max Eisenbud took full responsibility for Sharapova’s failed test, and he blamed his marriage. One of his duties, he explained, was reviewing the WADA’s updated Prohibited Substance list every year, and he did this each year during his annual vacation to the Caribbean with his wife. Unfortunately for Sharapova (and, in fairness, for him), this year Eisenbud split from his wife and subsequently did not vacation to the Caribbean. As such, because he had failed to read the updated list, Sharapova did not stop taking meldonium, even after it was officially banned. 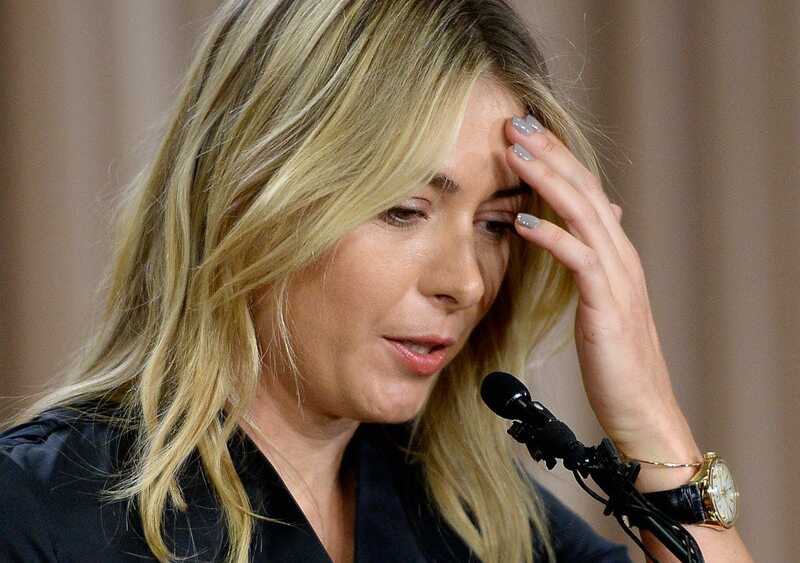 In his second witness statement signed on 11 May he stated that he had assumed the responsibility to check Ms Sharapova’s medications and supplements against the WADA Prohibited List, after the player had left Dr. Skalny’s care in 2013. His explanation as to why he failed to discharge his responsibility is as follows. In November 2013 and 2014 he printed out a copy of the Prohibited List for the forthcoming year to take it with him on his vacation in the Caribbean so that it could be checked. In 2015 he separated from his wife, did not take his annual vacation in the Caribbean and due to the issues in his personal life failed to review the 2016 Prohibited List. This reasoning only leaves us with more questions than answers. Namely, why would Eisenbud only read WADA’s Prohibited List while poolside, on vacation in the Caribbean? Nevertheless, his reasoning — again, that his divorce, and a canceled trip to the Caribbean ultimately led to Sharapova’s failed test — is among the best displays of loyalty to a client we’ve ever seen in sports.